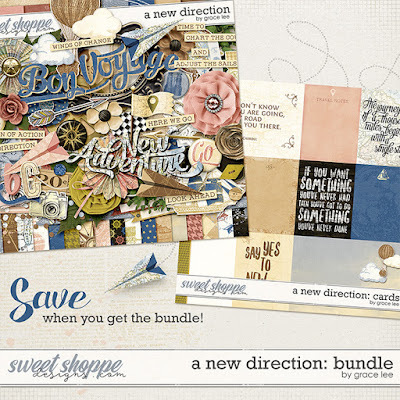 A New Direction: Bundle is a beautiful retro kit designed for anyone adventure-bound! It includes lots of travel-themed motifs such as hot air balloons, ships and maps. Whether you're going on a vacation of a lifetime or heading towards some major changes this kit is perfect for documenting your journey every step along the way.